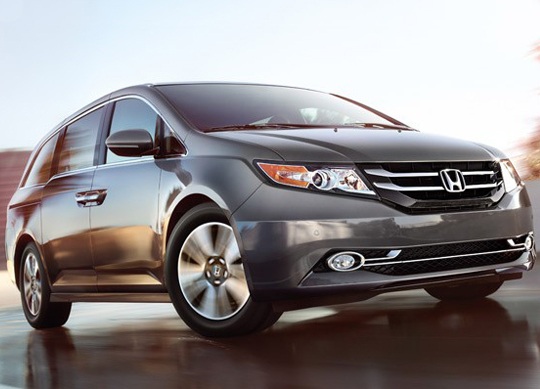 Honda has released pricing on its 2014 Odyssey. Buyers can take home the revamped minivan for $28,825 (excluding an $830 destination fee). That price marks a $150 increase over the 2013 model, but that extra Benjamin and a half buys you a whole slate of updates. Those include a new six-speed automatic transmission in all trims, revised exterior styling and a few tweaks to the instrument cluster and dash controls. Honda's familiar 3.5-liter V6 engine provides 248 horsepower and 250 pound-feet of torque, and the new gearbox helps the van return 19 miles per gallon city and 28 mpg highway. Of course, those who opt for the top-shelf $44,450* Touring Elite trim will get to play with the new HondaVac vacuum cleaner system. The handheld vac is built into the van's rear cargo area and recharges using the onboard 12-volt electrical system. The little vacuum features a removable debris canister as well as a replaceable filter bag and can run for eight minutes between charges. This won’t be the first ever Honda Accord Hybrid, but the 2014 Honda Accord Hybrid is very easily going to be the best one in the model’s history, thanks to a great new design, loads of excellent features, and some staggeringly excellent fuel efficiency numbers. By the time October rolls around and this car is finally on our lot here at Pacific Honda, we’re likely to be overflowing with excitement, and we hope the same is true for our customers. When Honda executed its emergency refresh of the Civic for 2013, it didn't do any massive powertrain reworking. But that doesn't mean new things aren't already in the works for Honda's compact. According to Automotive News, Honda has confirmed that it will offer the Civic with a new Earth Dreams powerplant sometime in the future, though details on timing and exactly what sort of engine are unclear as of this writing. The confirmation comes from Honda's executive vice president and regional director for North America, Tetsuo Iwamura, who says that the Earth Dreams engine will come when the Civic is re-engineered or redesigned, not during a refresh. There is also no mention of whether these changes will apply to just the standard Civic, or if the Si and Hybrid models will receive some Dreamy new tech, as well. The entire Earth Dreams group of technologies encompasses more than just naturally aspirated engines with direct injection. A turbo-diesel engine is also part of this suite, as are new continuously variable transmissions and new gasoline-electric hybrid powerplants. 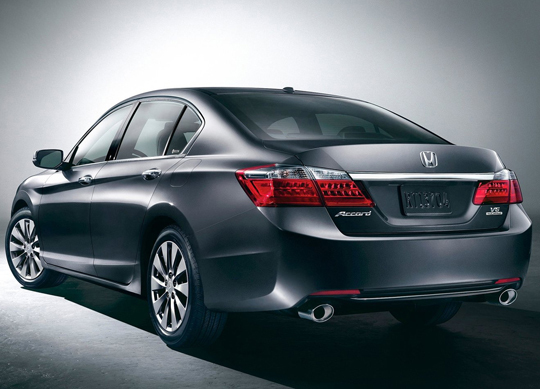 Honda launched its 2.4-liter and 3.5-liter Earth Dreams engines in the redesigned 2013 Accord. "The Civic has to evolve," Iwamura told Automotive News. "But we have to consider what timing works best." AN suggests that the Earth Dreams-powered Civic could arrive as early as the 2015 model year. Check out this video short on how Honda is making strides in the least likely areas to be more energy efficient! Two bits of news about the upcoming 2014 Honda Accord Hybrid have been released, but still not enough to have a complete picture of the revamped gas-electric that will come to the US this October. First, and this applies to the US model, the Accord Hybrid has been given an estimated 49-miles-per-gallon EPA city fuel economy rating along with 45 mpg highway and 47 mpg combined thanks to some high-tech wizardry – a.k.a. 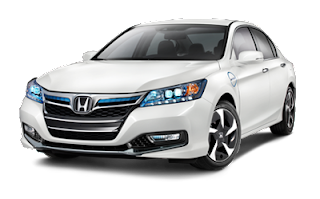 two-motor hybrid powertrain – that is similar to what's already available in the 115 MPGe Accord Plug-In. The Accord will be Honda's first hybrid to be assembled in Marysville, OH. You'll find many more details in the press release below. Over in Japan, where we already knew fuel economy estimates, the story is a little more complete. Namely, that pricing for the new Accord Hybrid will start at 3,650,000 yen (US $37,260). That's a whopping 610,000 yen ($6,227) more than the competition is charging for the Toyota Camry Hybrid and also a lot more than the standard Accord in Japan, which starts at around $25,500. Analysts say this price premium is "a good strategy" for the extra fuel economy and should keep the Accord nipping at the Camry's heels, saleswise. 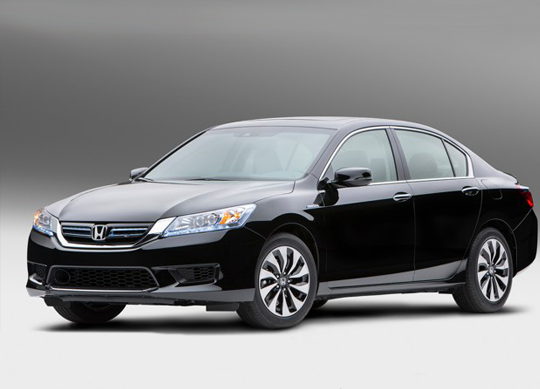 The big question is: does this help us guess how much the Accord Hybrid will cost stateside? Not really. Honda's Jessica Fini told AutoblogGreen, "We don't have pricing on the US version yet. That information will be available closer to the on-sale in October. It would be challenging to compare the Japan pricing strategy to what will happen with the US model since the markets are pretty different." For example, she added, "The Accord in Japan is a premium model – in the article they compare it to a Lexus in the US – so that should also provide some perspective on how they are pricing it here. Certainly the US Accord has a different position here in the market." In the US, the standard Accord starts at $21,680 while the 2014 Plug-In begins at $39,780, and we're pretty certain the hybrid will slot between the two. 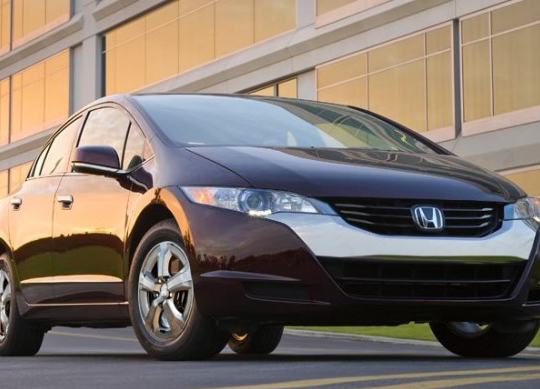 Honda models have captured three 2013 Best Retained Value Awards from Edmunds.com. 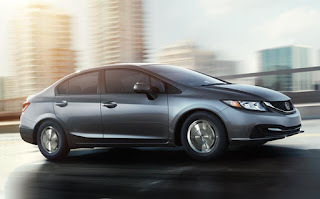 The Honda Civic was honored in both the Sedan and Coupe $20-$30k categories and the Honda Odyssey led the minivan segment for maintaining the highest projected residual value after five years of ownership as a percentage of value when new. "Honda models definitely punch above their weight when it comes to value with class-leading quality, safety ratings, standard features and a company commitment to avoid value-sapping fleet sales" said Mike Accavitti, senior vice president of automobile operations for American Honda. "Updates to the 2013 Civic took it from best-selling in 2012 to undeniably best-in-segment this year, and with a significantly-updated Odyssey on the way this summer, we're looking forward to providing even more value to American families." In the automotive world, every maker of cars, trucks, and SUVs wants to feel valued by the general public for which they are making those very vehicles. After all, so much time, effort, and money goes into the engineering of those vehicles, that it would be a sad thing if consumers didn’t value all the hard work. Happy Father's Day weekend from your friends at Pacific Honda! Now could be a great time to put dad in the #1 rated SUV under $25,000. 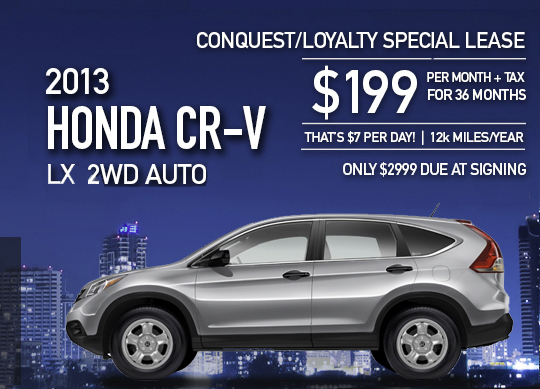 Come by the dealership and test drive the 2013 CR-V! A great staff makes for a great company. 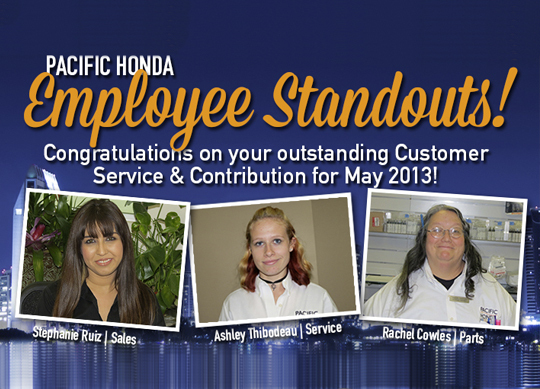 Pacific Honda likes to recognize the amazing people who make the difference in the workplace. Congrats Stephanie, Ashley and Rachel for being our employee standouts in May!! There are a lot of reasons to go out and buy a new car, but for families there are certain criteria that matter more than others. Namely, things like safety, roominess, comfort, and value come into play, and considering those are exactly the same criteria that Kelley Blue Book used to assemble their list of the 10 Best Family Cars of 2013, it’s not surprising that the automobiles mentioned there really are some of the best family vehicles in the industry today. H2USA is a public-private partnership focused primarily on advancing the hydrogen fueling infrastructure to make fuel cell electric vehicles more viable for US consumers. The automakers participating in the project are looking into the best ways to encourage adoption of fuel cell electric vehicles, plus solutions to make the hydrogen highway infrastructure more cost effective. While its sales numbers have never hit the top of the charts, Honda was the first automaker to lease a modern fuel cell electric vehicle – the FCX Clarity – to US retail customers. With a new wave of H2 vehicles scheduled to arrive in the next few years, H2USA will support development of the hydrogen refueling infrastructure and leverage other hydrogen energy sources including natural gas and renewables, Steven Center, American Honda's vice president of environmental business development, said in a company statement. Honda is one of a group of foreign automakers to become a member, with none of the Detroit 3 yet to join the partnership. General Motors has shown interest in fuel cell electric vehicles through its Chevrolet Equinox fuel cell SUV. Through Project Driveway, participants have put in a lot of miles behind the wheel and shared their experiences with GM's research project. 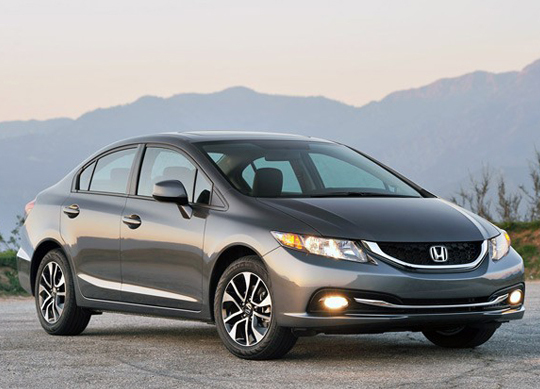 The 2013 Honda Accord Sedan, Civic Sedan and CR-V compact SUV were all named to the 10 Best Family Cars list compiled by the experts at Parents Magazine and Edmunds.com. The three family-friendly Honda vehicles were selected out of hundreds of models for excelling in the key areas of safety, fuel efficiency, technology and connectivity. "As one of the most purchased brands by families and the leading manufacturer on this list, this recognition represents our laser focus on customer satisfaction," said Mike Accavitti, senior vice president of auto operations at American Honda. "The Accord, Civic and CR-V all lead their respective segments in retail sales and Honda continues to focus on selling high value vehicles to one customer - or family - at a time." 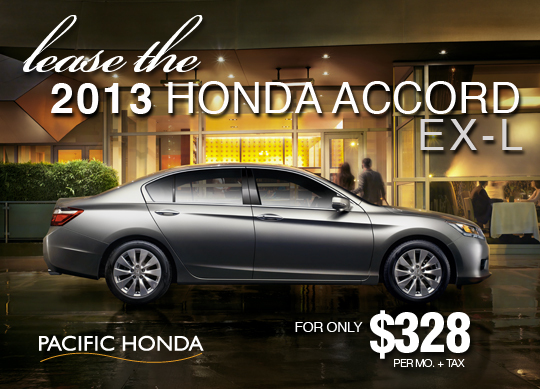 All-new for 2013, the Honda Accord was recognized as one of the top sedans for families by Parents Magazine and Edmunds.com. 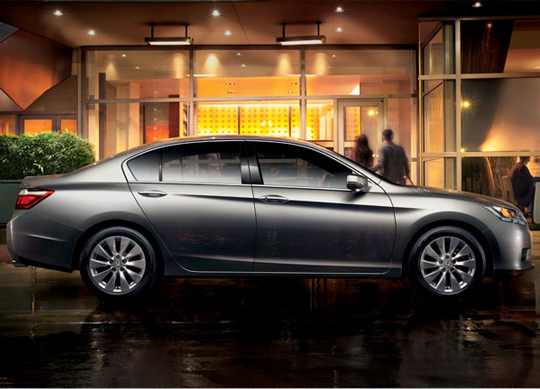 The Accord features sophisticated styling, fuel-efficient powertrains and available technology features like the LaneWatch™ blind spot display. With safety a top shopping consideration for families, the Accord earns industry-leading safety scores, having been rated as a TOP SAFETY PICK+ by the Insurance Institute for Highway Safety (IIHS) and distinguished by a National Highway Traffic Safety Administration (NHTSA) 5-star Overall Vehicle Score. 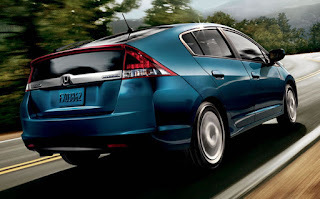 For the second year, the Honda Civic was named among the top rated family cars for budget shoppers. 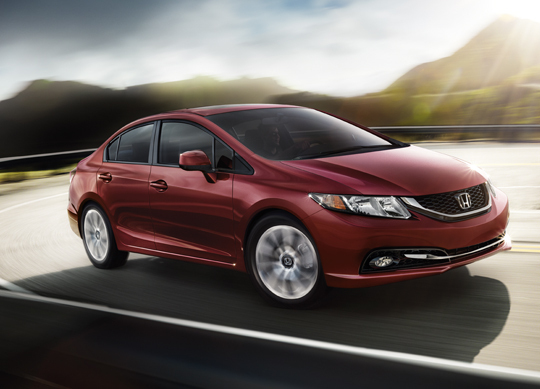 Receiving significant upgrades for 2013, the Civic boasts class-leading standard features like rearview camera, HandsFreeLink™ Bluetooth®, Pandora® internet radio interface, SMS text message feature and steering wheel audio controls. The Civic is also the only small car to be rated a TOP SAFETY PICK+ by the Insurance Institute for Highway Safety (IIHS) and distinguished by a National Highway Traffic Safety Administration (NHTSA) 5-star Overall Vehicle Score. 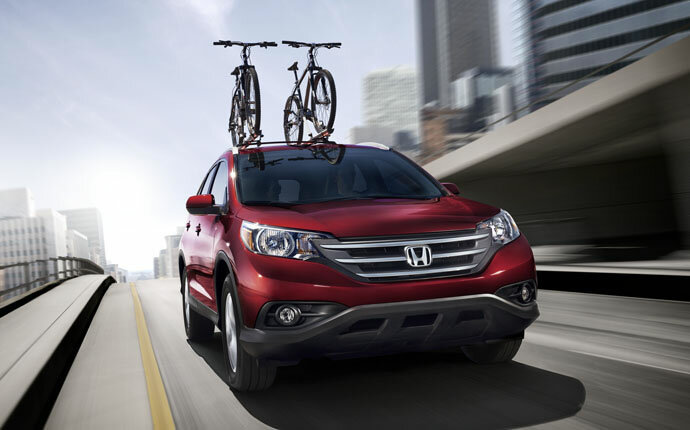 Recognized for a second year as a top vehicle in the crossover category, the CR-V remains an ideal choice for families with its unparalleled balance of size and capability. 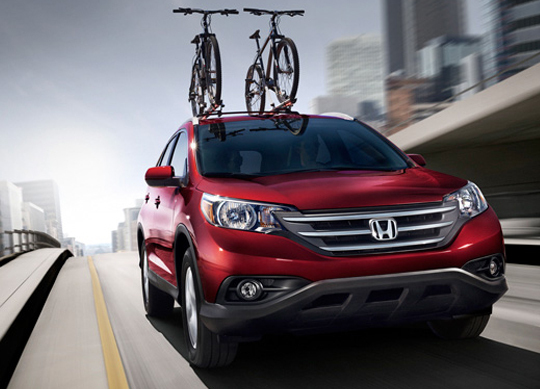 The CR-V is also rated by the Insurance Institute for Highway Safety (IIHS) as a TOP SAFETY PICK and is distinguished by a National Highway Traffic Safety Administration (NHTSA) 5-star Overall Vehicle Score.